Lai Taekwondo. Servicing the Goulburn region for 20 years. Taekwon-Do is a Korean martial art that was developed for Military hand to hand combat. Millions of people around the world enjoy Taekwond-Do as a sport, an art and a way of life. 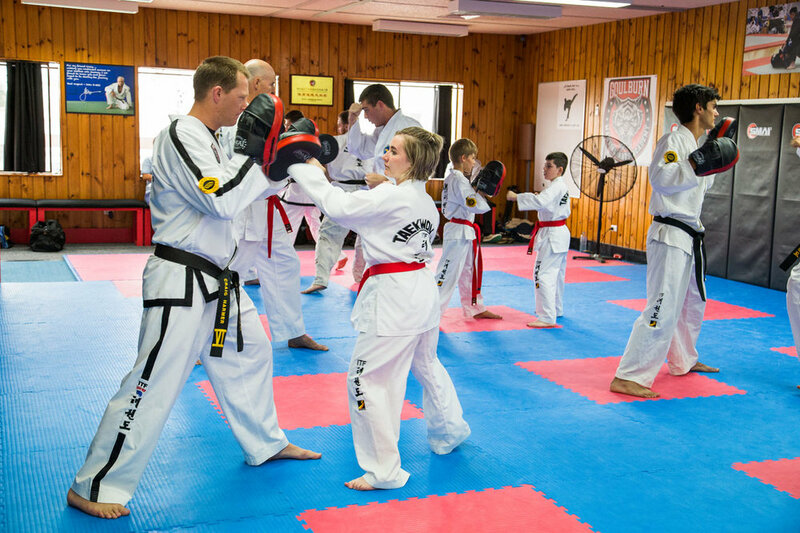 Come and join a fun filled class in a friendly environment. When you've made the decision to pursue a martial art, you've got plenty of choices. While all combine mind and body techniques for better body awareness, fitness and mental acuity, Taekwondo, a Korean self-defense art, has some particular advantages. Taekwondo comes from the words Tae, or "foot" or "to step on;" Kwon, which means means "fist" or "fight;" and Do refers to a "way," "art" or "discipline." The combination of these words embodies the essence of the sport. 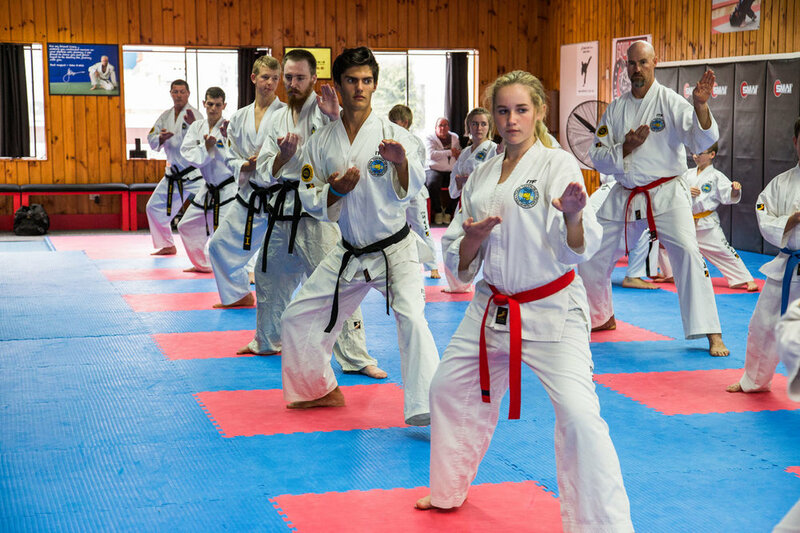 Taekwondo is defensive in nature; you use your body — the feet and fists — to calm down fights and "build a more peaceful world," explains USA Taekwondo. 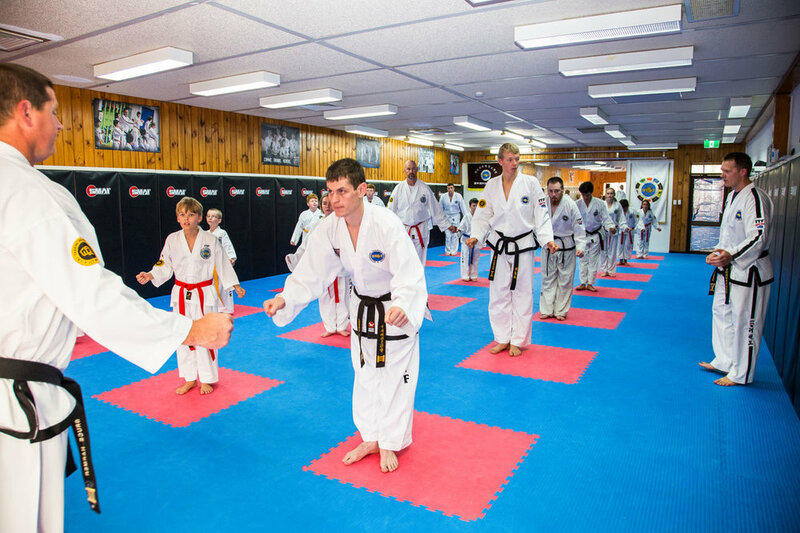 However, this mission is only one of the many advantages of a regular Taekwondo practice. You'll also experience improved fitness, discipline and concentration. 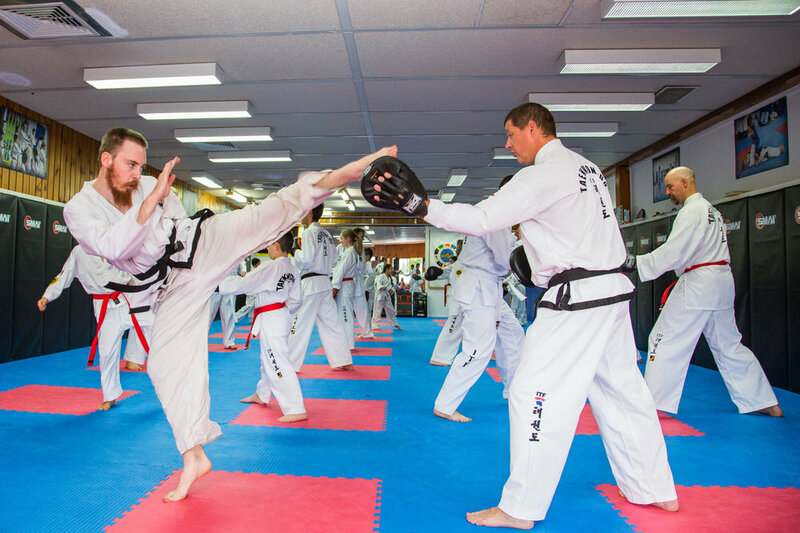 A typical Taekwondo class involves dynamic punching and kicking drills, blocks, core-strengthening exercises and stretches. You'll build stamina and strength through such active movements. For younger children, learning and practicing the poomsaes — specific patterns of defense and attack movements — leads to better motor skills and body control. A 2014 study published in Sports Medicine noted that Taekwondo athletes demonstrate high peak anaerobic power, flexibility — especially in the legs and hips — high dynamic upper- and lower-body strength and good core endurance. Respect and honor are tenants of Taekwondo. You respect the discipline, the dojo — or studio — and your teacher. You're expected to come neatly dressed in a clean uniform and adhere to the rules of the gym. At the beginning and end of class, you bow to your teacher. Higher belt athletes also hold some authority in the studio as they've demonstrated the discipline and physical fortitude to achieve their status. You learn to respect them and their commands. This respect for cleanliness, discipline and people of authority translates to space outside of the dojo, whether that be school, work or home. In addition to building respect for authority, Taekwondo teaches athletes to respect themselves. Advances in the belts builds self-confidence. The discipline required in learning forms and specific punching and kicking techniques builds confidence and mental focus. In children, you might notice grades and behavior improve as Taekwondo builds their confidence and enhances their attention. At its core, Taekwondo is about learning to diffuse situations. The practice is defensive, rather than offensive. What you learn in Taekwondo training can prevent you from becoming a victim in threatening situations. Taekwondo also involves unifying the mind with the body. The concentration required to learn and practice the forms (poomsaes) gives you better control of your punching and kicking, which leads to harmony within your body. When your body works in harmony, you can translate this to the entirety of your life and how you operate in society.